Introgression of crop alleles in weedy sorghum populations may have an additive effect on the adaptive character of the weeds making them more competitive. The relative fitness in the F1 generation derived from weedy and crop sorghums was evaluated using competitive assays in densely planted plots. Replacement series assays were utilized to evaluate the competitiveness of the F1 in the greenhouse and in the field. Interspecific crosses between S. halepense×S. bicolor and S. sudanense×S. bicolor showed vigour in vegetative morphological parameters. Tillering, plant height at maturity and plant weight of the F1 increased up to 70, 50 and 100%, respectively. The analysis of reproductive fitness associated traits showed that the hybrids had Relative Crowding Coefficients (RCC) values of between 5.2 and 10.1 on the number of panicles per plant. High RCC values of up to 76.9 on the number of seeds per plant and values of up to 19.5 on the total seed weight were observed in the hybrid indicating that the hybrid was more competitive than the parents. The S. halepense×S. bicolor F1 progenies had less seed produced when grown in competition with S. bicolor and an RCC of 4.3 was observed. Ratooning was reduced in the F1 of S. halepense×S. bicolor when grown in competition with S. halepense and an RCC of 5.0 was observed. The F1 hybrid of S. sudanense×S. bicolor had significantly more panicles (6.3) than S. bicolor (1.9) but it was not different from S. sudanense (6.0). Both F1 populations had high levels of seed dormancy and forced germination gave 53% in S. halepense×S. bicolor and 69% in S. sudanense×S. bicolor which gave low values as compared to their parents. Results from the study indicate that the release of improved transgenic varieties should be preceded by investigation on the effect of their interaction with weedy members in the sorghum genus. Titus O. Magomere, Silas D. Obukosia, Solomon I. Shibairo, Eliud K. Ngugi and Eunice Mutitu, 2015. Evaluation of Relative Competitive Ability and Fitness of Sorghum bicolor×Sorghum halepense and Sorghum bicolor×Sorghum sudanense F1 Hybrids. Journal of Biological Sciences, 15: 1-15. Crop genes introgressed into their wild relatives may possibly confer an adaptive advantage or penalty to the crop weed hybrid as a consequence of acquired plant features that may of enhance or diminish its fitness. This advantage or penalty to the hybrid can influence the vegetative and/or the reproductive phase of the plant (Dale, 1994). Crop genes in weedy species may enhance plant fitness traits such as, levels of seed dormancy, mode of reproduction, nature of specific habitat and nature of competition. The persistence of hybrid weeds depends on their relative fitness and the levels of competition they may endure (Dale, 1994). Persistence of crop alleles in the weedy background may render the hybrid more invasive and increase the chance of hybridization and flow of robust crop alleles to both the hybrid and weedy populations. Interactions between crop genes and wild genes in sorghum weeds may also increase the selective advantage, invasiveness or weediness in the wild sorghum populations (Hokanson et al., 2010). Studies on the potential invasiveness of crop wild hybrids in traditional agricultural systems show that fitness of crop×weed hybrids vary across crop species (Ellstrand, 2003) and across different agro-ecological environments (Chapman and Burke, 2006). Studies on hybrids of crop and wild rice showed increased heterosis for the vegetative production when compared to the parents (Langevin et al., 1990). Wild radish and crop radish hybrids showed greater seed set than non hybrids (Ellstrand, 2003). However, Arriola and Ellstrand (1997) found insignificant differences in the reproductive and vegetative competitiveness of S. halepense×S. bicolor hybrids as compared to S. halepense and S. bicolor monocultures. Hybrids derived from different species in the same genus have been reported to have greater adaptive advantage due to enhancement of important vegetative features. Song et al. (2004) obtained an F1 population from crossing O. sativa and O. rufipogon and showed that the F1 had slightly higher hybrid vigour at the vegetative growth phase and better tillering than the parents. Crop by wild hybrids in lettuce have shown higher vigour than their parents and the resulting heterosis has potential of increasing fitness of their offsprings (Hooftman et al., 2009). This has also been shown in the F1 in response to drought, salt and nutrient deficiency environments (Uwimana et al., 2012). Studies within Poaceae have shown that F1 hybrids between round-up-ready corn with teosinte showed significantly higher vegetative vigour than that of teosinte (Guadagnuolo et al., 2006). The F1 hybrids obtained did not exhibit a direct or negative impact of the transgene on reproductive fitness in the absence of selective pressure from glyphosate (Guadagnuolo et al., 2006). F1 hybrids between crop sorghum and shattercane exhibited higher vegetative vigour and higher biomass production as compared to the parents (Sahoo et al., 2010). However, the hybrid between shattercane×S. bicolor did not show any difference in ecological reproductive fitness with its parents (Sahoo et al., 2010). In addition, Mercer et al. (2006) showed that sunflower F1 hybrids were less fecund than wild plants, yet more likely to survive to reproduce. In addition crop×wild hybrids in sunflower showed greater relative fitness when grown under competitive conditions (Mercer et al., 2006). Fitness in crop×wild lettuce F1 hybrids and backcross populations also seemed to show similar or higher vigour compared to the parents (Uwimana et al., 2012). Transgressive segregation leading to hybrid vigour in the F1 derived from genetically distant but conspecific crop species is a vital aspect to consider while determining the role of transgenes in non target plant populations. The vigour in the F1 due to interspecific hybridization may boost plant features associated with enhancing fecundity in the hybrid population. The change in fecundity has been observed in some studies. Wild radish×crop radish F1 population showed 27% greater fecundity and 22% greater survival than wild plants in some environments (Campbell et al., 2006). However, evaluation of the F3 population showed fewer seeds per fruit produced and fewer fruits per flower set than in the wild plants, resulting in lower lifetime fecundity (Campbell and Snow, 2007). A study of wild by crop hybrids of squash showed relative fecundities of between 15-53% as compared to the wild plants (Spencer and Snow, 2001). The effect of interspecific hybridization on vegetative fitness and fecundity suggests that the crop alleles can persist within introgressing populations over several generations. The F1 population therefore does not represent a barrier to introgression of neutral, null or beneficial alleles (transgenes) into weedy or wild sorghum populations. It is imperative to define ways of evaluating the effect of transgenes on fitness of crop, wild relatives and their hybrids. The most important parameters to consider include; plant vigour, biomass production, seed production, seed dormancy and resistance or tolerance to given biotic pressures. The study determined and compared the relative competitive ability, fitness and fecundity of the S. halepense×S. bicolor and S. sudanense×S. bicolor hybrids. Competitive study of F1 hybrids and parents in the greenhouse: Vegetative and reproductive fitness of S. bicolor, S. halepense, S. sudanense and their hybrids obtained from weed to crop crosses was tested using a competitive approach. Dense planting (4 plants in a 30 cm pot) with altered crop, weed and hybrid mixture ratios in greenhouse pots were applied to evaluate significant advantage among the weed-crop hybrids. The experiment was sited at the College of Agriculture and Veterinary Sciences (CAVS) (-1°1459.72", +36°4430.79"). Seeds from S. bicolor, S. halepense, S. sudanense and their hybrids were germinated by subjecting them to temperatures of 5°C for 10 days then to 45°C for 24 h in a drying oven to break dormancy (Holm et al., 1977). Two weeks after germination, the seedlings were transplanted into 30 cm diameter pots filled with growth medium mixture (3 parts loamy soil; 1 part sand and 1 part manure). Plants were watered twice a day trough drip irrigation and maintained at 12/12 h day/night photoperiod and at 28/24°C day/night temperatures throughout the growth period. The plants were fertilized three times per week through fertigation. A starter fertilizer mixture Polyfeed® NPK, 19:19:19 from Amiran Kenya (95 μg L1 nitrogen, phosphorus and potassium per day) was applied for 30 min two times a day and three times a week in irrigation water from germination till the onset of flowering. This was followed by a finisher fertilizer mixture Polyfeed® NPK, 18:9:27 from Amiran Kenya (90 μg L1 nitrogen, 45 μg L1 phosphorus and 67.5 μg L1 potassium per day) that was applied for 30 min, two times a day and three times a week in irrigation water until flowering stage. Plants were watered twice a day trough drip irrigation and maintained at 12/12 h day/night photoperiod and at 28/24°C day/night temperatures throughout the growth period. Insect pests, such as cutworms, spider mites and stem borers were controlled. A miticide Ortus®, SC 5% (fenpyroximate) was applied as a foliar spray at a rate of 0.05 kg ha1 during mite infestation. A pesticide Dursban® 50 W (chlorpyrifos) was used to control lepidopteran and homopteran pests at a rate of 0.28 kg ha1. Polytrin® P440 EC was applied at 1.0 L ha1 to control lepidopteran and homopteran and mites. Greenhouse conditions varied between 28-20°C day/night temperature and 12/12 h day/night photoperiod. Dense planting with 4 plants in a 30 cm pot was used in the replacement series to obtain competition through out the life cycle, but allow the plants to flower and to fruit. where, μ value common to all data points, τi is the treatment effect, βj is the block effect, γij is the treatment effect×block interaction effect and εij is a random element of variation. where, B (4:0 hybrid) and B (4:0 parent) represented biomass production in plots with 100% hybrid and parent, respectively. The B (3:1 hybrid) and B (3:1 parent) represented biomass production in plots with 75% hybrid and parent respectively. The B (2:2 hybrid) and B (2:2 parent) represented biomass the production in plots with 50% hybrid and parent, respectively. The B (1:3 hybrid) and B (1:3 parent) represented biomass production in plots with 100% hybrid and parent, respectively. Total biomass production including, plant height, number of tillers, time to flowering, grain yield were measured and Photosynthetic Active Radiation (PAR). A quantum light probe was used to measure the photon flux in the PAR at a wavelength range from 400-700 nm. Adaxial and abaxial readings were taken and the difference was determined as the actual PAR. The readings were taken over a 150 day period in 10 day intervals. The PAR was defined in terms of photon (quantum) flux, calculated as the number of moles of photons in the radiant energy. A germination test was carried out on the seeds from the hybrids to determine their viability. Plant height and number of tillers were analyzed using regression analysis. The regression slope and y intercepts were compared using t tests. Leaf and stem dry weight, grain yield and rhizome production parameters were analyzed using analysis of variance and mean differences between the genotypes were compared at p≤0.05 in GENSTAT 14. Morphological differences at maturity (150 days) of S. sudanense, S. halepense, S. bicolor and their hybrids grown in competition: Experimental plants grown in competition in the replacement series designs showed significant differences among parents and their F1 progenies (p≤0.05) (Table 1). Total plant weight in both F1 populations of S. halepense×S. bicolor (426 g) and of S. sudanense×S. bicolor (424.1g) was higher than that of their three parents S. halepense (213.8 g), S. bicolor (241.7g) and S. sudanense (293.7g) (Table 1). Photosynthetic active radiation was highest in S. sudanense (110.17) while S. bicolor and the F1 between S. halepense and S. bicolor had PAR of 92.15 and 99.6, respectively while S. sudanense×S. bicolor had a PAR of 88.64. The least PAR was recorded in S. halepense (88.28) (Table 1). There were more tillers in the S. sudanense×S. bicolor F1 (3.362) and one of their parents, S. sudanense (3.345). Sorghum sudanense×S. bicolor had average number of tillers (2.257) while both S. bicolor and S. halepense had the least number of tillers with means of 1.083 and 1.505, respectively (Table 1). Branches above the second internode were more frequent in S. sudanense (mean of 0.3) and its F1 with S. bicolor (mean of 0.2). Sorghum halepense, S. bicolor and their F1 had mean branching of less than 0.08. Differences in the total height of the experimental genotypes were significant (p≤0.05) (Table 1). The mean height of S. bicolor, S. halepense and their F1 were recorded at 111.8, 78.5 and 120.6 cm, respectively. Sorghum sudanense showed total height of 135.8 cm at maturity while the F1 progenies between S. sudanense and S. bicolor had a mean height of 144cm at maturity (Table 1). The mean number of leaves at maturity ranged between 5-6 in all the parents and F1 progenies. Above 1 cm culm widths were recorded in S. bicolor while the F1 progenies between weedy species and S. bicolor showed widths of between 0.98 and 0.99. Thinner culms were seen in the weedy species S. halepense (0.92 cm) and S. sudanense (0.975 cm). The number of days the genotypes took to half bloom showed variation, with S. halepense giving a mean of 90-95 days and its F1 with S. bicolor attaining half bloom in 70-80 days from germination. Sorghum bicolor, S. sudanense and the F1 attained half bloom in between 80-90 days. The percentage flowering also had similar distribution in the genotypes with S. halepense showing 65.1% flowering on all main stems, tillers and branches. The results showed that 86.9% stems in S. halepense×S. bicolor flowered at maturity while 99.1% of all S. bicolor had flowered at maturity. Sorghum sudanense and its F1 with S. bicolor had flowering on 95.5 and 96.9% of stems (Table 1). Morphological differences during growth phase (150 days) between S. halepense, S. bicolor and S. halepense×S. bicolor hybrids grown in competition: Vegetative phase morphological parameters showed significant differences among the experimental species. Branching above the second internode did not begin until day 100 in S. bicolor, S. halepense and their F1 (Fig. 1a). Maximum branching was seen at day 110 in S. halepense with a mean of 0.3166. However, in S. halepense×S. bicolor a mean of 0.1799 was obtained while S. bicolor had a mean of 0.1. At day 140 mean branching ranged between 0.2-0.5 in the two parents and the F1 (Fig. 1a). Fast growth in height was seen between day 10 and 80, after which a growth plateau was attained (Fig. 1b). At day 80 S. bicolor had a height of 87.75 cm, S. halepense had 121.50 cm while S. halepense by S. bicolor had 143.37 cm. At maturity (day 150) S. halepense×S. bicolor had a mean height of 164.5 cm, S. halepense had 154.5 cm while S. bicolor had a height of 108.25 cm (Fig. 1b). Sorghum halepense consistently recorded higher culm width from day 20-150 followed by the F1 between S. halepense and S. bicolor. S. halepense demonstrated thinner stems from day 20-150. However, culm width increase had a plateau at day 80 in all the genotypes (Fig. 1c). The number of leaves increased exponentially from day 20-70 where S. bicolor averaged 7.55, S. halepense averaged 8.05 while the F1 progenies of S. halepense×S. bicolor averaged 8.20. There after senescence associated decline was recorded in all genotypes. At day 150 all genotypes had means of between 5.0-5.25 leaves on the main stem (Fig. 1d). Sorghum halepense began flowering on the main stems at between day 60 and 70, as was the case in S. bicolor. The F1 between S. halepense×S. bicolor began flowering at between day 50 and 60. By day 120, more than 95% of the main stems and the early tillers had flowered (Fig. 1e). Tillers were first seen in S. halepense×S. bicolor at between day 50 and 60 which peaked at day 110. S. halepense had moderate to high tillers through its growth phase, beginning at day 70-150. Sorghum bicolor had low tillering that began after day 100 (Fig. 1f). Morphological differences during growth phase (150 days) between S. sudanense, S. bicolor and S. sudanense×S. bicolor hybrids grown in competition: Vegetative parameters exhibited significant differences on the study species grown in competition (p≤0.05). The F1 between S. sudanense×S. bicolor showed significant branching between day 90-150. This was contrary to the situation in the parents where branching was minimal (Fig. 2a). Both parents and F1 progenies achieved their maximum height between days 100 and 110 which was preceded by a fast growth phase between days 20-100 in all cases. Sorghum sudanense×S. bicolor F1 progenies consistently showed higher height values than S. sudanense and S. bicolor (Fig. 2b). Similar fast growth and plateau phases were seen on culm width. Higher width values were seen in S. bicolor parent (1 cm) followed by the F1 progenies of S. sudanense×S. bicolor (0.9 cm) and the S. sudanense parent (0.8 cm) (Fig. 2c). Increase in the number of leaves was fast between days 10 to 60-70. Maximum number of leaves was recorded in S. bicolor on day 90 (7.7) S. sudanense on day 70 (7.1) and the S. sudanense×S. bicolor F1 on day 80 (7.1). By day 150 all genotypes had between 5.9-6.0 leaves as a result of senescence (Fig. 2d). Flowering in the parents and the F1 progenies of S. sudanense and S. bicolor was most expressed between days 60-80. Flowering then had a plateau at day 150 where 100% of S. sudanense main stems and tillers had flowered, 97% of S. sudanense×S. bicolor had flowered and 82% of S. bicolor had flowered (Fig. 2e). Tillering began early in S. sudanense×S. bicolor day 40 and in S. sudanense (day 50). Tillering in both genotypes had plateaus at day 100. Low tillering was demonstrated in S. bicolor (Fig. 2f). Regression analysis for morphological differences among S. halepense, S. sudanense, S. bicolor and their hybrids grown in competition: Growth phase parameters and the period of growth (days from germination) showed significant and positive regressions (Fig. 3). Culm width regressed with days from germination in S. bicolor had a p-value of <0.001, in S. halepense the p-value was equal to 0.069 while in S. halepense×S. bicolor the p-value was equal to 0.113. Culm width and days from germination in S. sudanense and the F1 from S. sudanense×S. bicolor had regressions that were not significant. The correlation values for culm width and days from germination were positive and above 0.5 in all genotypes (Fig. 3). Positive regressions and correlations coefficients involving number of leaves, percent flowering and plant height were obtained. The regression relationship involving tillers and branches did not show significant increase with days from planting in all genotypes. Fitness of S. halepense×S. bicolor hybrids grown in the field conditions in competition with their parents: Differences on reproductive and fitness related traits among the parents S. halepense, S. bicolor and the F1 S. halepense×S. bicolor grown in competition were significant (p≤0.05) (Fig. 4a). The mean number of panicles per plant in monocultures of S. halepense were 2.17, in S. bicolor the number was 1.954 while the F1 of S. halepense×S. bicolor had a mean of 3.325 panicles per plant. In crop by hybrid plant mixtures of 25:75 the hybrid had more panicles (3.454). Intersection point was observed at crop by hybrid mixtures of 75:25. This showed increased competitiveness of the S. halepense×S. bicolor F1 on the number of panicles as compared to S. bicolor (Fig. 4a). A similar situation was seen when S. halepense was grown in competition plots with S. halepense×S. bicolor. The F1 was more competitive giving an intersection beyond the 25:75-hybrid:weed plant mixture (Fig. 4b). The competitive ability of the S. halepense×S. bicolor F1 on total plant weight was more pronounced in competition with S. halepense (intersection just before 0:100-hybrid: Crop mixtures) (Fig. 5b) than in competition with S. bicolor (intersection just before 25:75-hybrid: Crop) (Fig. 5a). Analysis of the number of ratoons showed that the F1 of S. halepense×S. bicolor was more competitive than S. bicolor parent (intersection after 25:75-F1: S. bicolor) (Fig. 6a). The competitive ability of the F1 was less pronounced where the S. halepense×S. bicolor F1 was grown together with S. halepense in competition plots. In this case, the intersection was observed at around 50:50 plant mixture (Fig. 6b). The S. halepense×S. bicolor F1 was more competitive than S. bicolor on the total number of seed produced per plant. The intersection was seen beyond the 50:50 point (Fig. 7a). Enhanced fitness on seed number was observed in the S. halepense×S. bicolor F1. The intersection was towards the 0:100-hybrid:weed crop mixture (Fig. 7b). Enhanced fitness on the F1 progenies was observed on the total seed weight where the intersection was observed beyond 25:75 in F1:crop (Fig. 8a) and in F1:weed plant mixtures (Fig. 8b). Fitness of S. bicolor×S. sudanense hybrids grown in the field conditions in competition with their parents: Parental genotypes of S. sudanense, S. bicolor and the S. sudanense×S. bicolor F1 showed significant differences when assayed for reproductive and fitness traits (p≤0.05) (Fig. 5). Monocultures of the S. sudanense×S. bicolor (Fig. 9a) had higher number of panicles (5.9) than that of the parental genotypes S. bicolor (3) and S. sudanense (5). Similarly, S. sudanense×S. bicolor showed higher fitness under 75:25, 50:50 and 25:75 plant mixtures. The intersection points for both F1 by crop parent (Fig. 9a) and F1 by weedy parent (Fig. 9b) were skewed towards 0:100 plant mixtures ratios. The F1 showed significant fitness than both S. bicolor and S. sudanense with regard to total plant weight. The intersection was towards 0:100 (F1: S. bicolor) (Fig. 10a) and 0:100-F1: S. sudanense (Fig. 10b) for plant weight. Ratooning showed significant differences among the genotypes with the S. sudanense×S. bicolor F1 exhibiting fitness enhancement in monoculture and in plots with mixed plant ratios. In competition with S. bicolor the F1 had an 25:75-hybrid: Crop) (Fig. 5a). Analysis of the number of ratoons showed that the F1 of S. halepense×S. bicolor was more competitive than S. bicolor parent (intersection after 25:75-F1: S. bicolor) (Fig. 6a). The competitive ability of the F1 was less pronounced where the S. halepense×S. bicolor F1 was grown together with S. halepense in competition plots. In this case, the intersection was observed at around 50:50 plant mixture (Fig. 6b). The S. halepense×S. bicolor F1 was more competitive than S. bicolor on the total number of seed produced per plant. 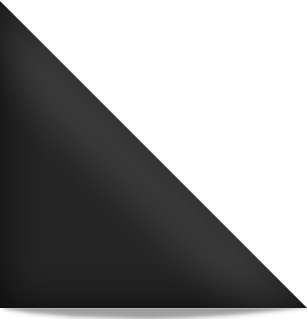 The intersection was seen beyond the 50:50 point (Fig. 7a). Enhanced fitness on seed number was observed in the S. halepense×S. bicolor F1. The intersection was towards the 0:100-hybrid:weed crop mixture (Fig. 7b). Enhanced fitness on the F1 progenies was observed on the total seed weight where the intersection was observed beyond 25:75 in F1:crop (Fig. 8a) and in F1:weed plant mixtures (Fig. 8b). Ratooning showed significant differences among the genotypes with the S. sudanense×S. bicolor F1 exhibiting fitness enhancement in monoculture and in plots with mixed plant ratios. In competition with S. bicolor the F1 had an intersection beyond the 25:75-F1: crop plant competition mixture (Fig. 11a). A similar situation was observed when the F1 was planted in competition with the weed (Fig. 11b). The total numbers of seeds were enhanced in situations where the F1 was grown in competition mixtures with S. bicolor (Fig. 12a) and S. sudanense (Fig. 12b). The intersection point in both cases was beyond the 25:75-F1: Crop and F1:weed plant competition mixtures. The total seed weight showed significant differences among the genotypes and plant growth mixtures. The F1 showed enhanced seed weight culminating in intersection points pulled towards the 0:100-F1:crop (Fig. 13a) and 0:100-F1:weed (Fig. 13b) plant competition mixtures. Relative competitive ability of S. halepense×S. bicolor and S. bicolor×S. sudanense hybrids grown in the field in competition with their parents: Relative crowding coefficient of more than 1 showed that the F1 progenies obtained from hybridizations involving S. halepense×S. bicolor and S. sudanense×S. bicolor consistently out performed the parental populations in replacement series assessments (Table 2). Analysis of the number of panicles per plant showed RCC values of 6.2 and 6.9 in competitions between S. halepense×S. bicolor F1 by S. bicolor the parent and S. halepense×S. bicolor by the S. halepense. Competitions between S. sudanense×S. bicolor by S. bicolor gave a 10.1 value which was larger than all other competitions for the number of panicles (Table 2). Competition between S. halepense×S. bicolor and S. halepense for total plant weight gave a high RCC value (27.4) as compared to the competitions involving the F1 with S. bicolor. Plant competitions with S. sudanense×S. bicolor had 6.7 and 8.3 RCC values on plant weight. The two F1 progenies showed high RCC values (above 5) for the number of ratoons when compared to their parents in plant competition mixtures. Competitions involving S. sudanense×S. bicolor by S. sudanense gave a high value 34.6 with regard to the number of ratoons (Table 2). The total number of seeds and total seed weight exhibited high RCC values in all F1 progenies and weed competitions. High values were seen in the competitions involving S. halepense×S. bicolor and S. halepense (76.9) and S. halepense×S. bicolor and S. bicolor (19.5) (Table 2). Fecundity of S. halepense×S. bicolor and S. sudanense×S. bicolor hybrids grown in the field in competition with their parents: Fecundity was assessed by plant features that enhance the ability of the female parents to produce offspring. Analysis of the number of panicles produced per plant showed that there were differences among the three parents and their hybrids. The S. sudanense×S. bicolor F1 had the highest number with 6.3 panicles (Fig. 14), S. sudanense had 6 panicles while S. bicolor had a mean of 1.9 panicles. The S. halepense×S. bicolor F1 had 3.3 panicles as compared to S. halepense with 2.0 panicles (Table 3). The number of ratoons produced also differed among the genotypes. There was increase in the number of ratoons from 1.5 in S. sudanense to 1.7 in the S. sudanense×S. bicolor F1. However, a reduction was observed from 2.9 in S. halepense to 1.9 in the S. halepense×S. bicolor F1 (Table 3). The total number of seeds produced in the F1 progenies exceeded that of each of its respective parents. S. sudanense×S. bicolor had 3,520 seeds, S. sudanense had 2708 seeds while S. bicolor had a mean of 2011 seeds. S. halepense×S. bicolor F1 progenies produced a mean of 2436 seeds per plant while S. halepense had 1030 seed per plant (Table 3). Total seed weight of the genotypes also differed significantly. The F1 from S. sudanense×S. bicolor had more seed weight of 178.4 g. Sorghum bicolor had 105.1 g while S. sudanense had 129.9 g. Similarly the F1 from S. halepense and S. bicolor produced a mean of 177.4 g of seed per plant while S. halepense produced a mean of 77.9 g. The F1 progenies had high levels of seed dormancy and poor germination of 53% in S. halepense×S. bicolor and 69% in S. sudanense×S. bicolor even after breaking dormancy. The F1 progenies obtained from the interspecific crosses showed higher expression in most of the vegetative morphological parameters evaluated in this study. There was significant heterosis on reproductive and vegetative traits in the progenies. The F1 generation between S. halepense×S. bicolor had more tillers and branches above the first internode than either of the two parents. The F1 generation was taller and higher PAR values were observed (Fig. 1). The F1 flowered earlier with only 86.9% of stems having panicles at maturity. Similarly the F1 generation between S. sudanense×S. bicolor had more tillers and flowered earlier than both parents. However the F1 generation had lower PAR and lesser branches than S. sudanense parent. Both interspecific F1 progenies were heavier than their parents at maturity but had thinner culms than S. bicolor. This vegetative vigour was observed throughout growth phase (between day 40-60 to 150) in the F1 population. The vegetative competitive ability was also enhanced in the F1 progenies obtained from wide crosses as compared to their parents even when grown in competition (Fig. 2). This drastic increase in vigour could be attributed to heterosis obtained due to hybridization of genetically distant genotypes. The F1 vigour may not necessarily be due to the presence of crop alleles in the weedy sorghums. Hybrids derived from different species in the same genus have been reported to have greater adaptive advantage due to enhancement of important vegetative features. An F1 obtained from crossing O. sativa and O. rufipogon had higher hybrid vigour at the vegetative growth phase and better tillering than the parents (Song et al., 2004). In previous results radish F1 populations showed 27% greater lifetime fecundity and 22% greater survival than wild plants in some environments (Campbell et al., 2006). Higher vigour has also been shown in crop by wild hybrids in lettuce (Hooftman et al., 2009). This would result in increasing fitness of their offsprings with regards to their response to drought, salt and nutrient deficiency environments (Uwimana et al., 2012). In Gramineae, F1 hybrids between round-up-ready corn with teosinte showed significantly higher vegetative vigour than that of teosinte (Guadagnuolo et al., 2006). F1 hybrids between crop sorghum and shattercane also exhibited vegetative vigour and higher biomass production as compared to the parents (Sahoo et al., 2010). Heterosis seems to be important in F1 derived from wide crosses in most crop species, with or without presence of robust transgenes, this concurs with results observed in this study. The F1 hybrids derived from S. halepense×S. bicolor and S. sudanense×S. bicolor exhibited enhanced expression of fitness associated traits while grown in competition. The F1 population tended to out-crowd the parental genotypes during the growth phase and had more biomass (Fig. 4-8). This led to the increase in the number of panicles, panicle weight and seed number in the F1 hybrids as compared with their parental populations (Fig. 9-13). The difference between S. bicolor and the S. halepense×S. bicolor F1 hybrid was minimal with regards to the total number of seeds produced. Underground biomass accumulation also seemed to favour the F1 progenies resulting in higher ratooning except when S. halepense was grown in competition with the S. halepense×S. bicolor F1. Ratooning in the F1 hybrid implies greater proliferation of the F1 in agricultural systems as volunteer weeds or contaminants in farmers seed, increasing chances of interspecific hybridization. This would enhance crop allele proliferation and persistence within the weedy background through introgressive backcrossing (Ellstrand, 2003). General vigour in the F1 enhances the populations chance to produce more seed and more panicles and therefore fitness. However, fitness of crop×weed hybrids vary across crop species (Ellstrand, 2003) and different agro-ecological environments (Chapman and Burke, 2006). Furthermore, F1 hybrids did not have significant fitness differences to their parents in maize (Guadagnuolo et al., 2006) and shattercane (Sahoo et al., 2010). In contrast, crop×wild hybrids in sunflower (Mercer et al., 2006) and lettuce F1 hybrids and backcross populations (Uwimana et al., 2012) had higher relative fitness. The increase in fitness associated traits in F1 between S. halepense×S. bicolor and S. sudanense×S. bicolor differed. The S. sudanense×S. bicolor F1 showed more increase on the number of panicles, number of seeds and total seed weight when compared to the parents. The differences in fitness gain or loss among different crop and wild hybrids can be attributed to the different environments of growth and differences in weedy biotypes used in each study. For instance, Arriola and Ellstrand (1997) did not observe any increase in fitness associated trait in the F1 between S. halepense and S. bicolor. This could be attributed to the lack of good heterotic combining ability among the biotypes used. Growing the F1 genotypes being evaluated either in competitive or non-competitive environments may also show some significant effect on the expressed fitness. The intrinsic competitive nature of some plants for example, allelopathy in sorghum may alter the general fitness advantage towards the heterotic F1. Allelopathy is conferred by phytotoxins such as the potent benzoquinone sorgoleone (2-hydroxy-5-methoxy-3-[(Z,Z)-8,11,14-pentadecatriene]-p-benzoquinone) and its analogs (Baerson et al., 2008). Sorgoleone is produced and exuded from root hairs into the soil in such species where it inhibits the growth of other susceptible plants like those belonging to the Stiga species. In this study, F1 progenies from interspecific crosses between crop and wild sorghums had higher fecundity accompanied with exaggerated levels of seed dormancy and poor germination (Table 3). The F1 generation between S. halepense and S. bicolor had more panicles than both parental genotypes. The second F1 hybrid between S. sudanense and S. bicolor was significantly different from S. bicolor on the number of panicles but this was not the case when compared with S. sudanense. The F1 had equal or lesser ratoons than its weedy parents, but they had more seed as compared to their parents (Table 3). Germination of the F1 seed between S. halepense×S. bicolor (53%) and S. sudanense×S. bicolor (69.6%) were lower than those of their parents (Table 3). Despite having more seed due to the increase in the number of panicles, the F1 progenies also had high levels of dormancy. This resulted in poor germination due to rotting of the larger loosely covered endosperm, a characteristic obtained from crop sorghum. Similar results were observed on the seed obtained from the F1 plants to raise the F2 population. The results on fecundity have been shown to differ among species with interspecific F1 and F3 populations in radish having lower lifetime fecundity (Campbell and Snow, 2007). In addition interspecific hybrids of squash showed lower relative fecundities (Spencer and Snow, 2001). The presence of crop sorghum alleles in S. halepense populations (Morrell et al., 2005) show that reduced fitness and fecundity in some crop to wild crosses may not defer the proliferation and persistence of crop alleles in weedy backgrounds. The F1 population does not represent a barrier to introgression of neutral, null or beneficial alleles into weeds or wild sorghum populations. The F1 progeny obtained from the interspecific crosses showed higher expression at most vegetative morphological parameters evaluated in this study. This drastic increase in vegetative vigour could be attributed to heterosis obtained due to hybridization of genetically distant genotypes. Fitness associated traits of F1 hybrids derived from S. halepense×S. bicolor and S. sudanense×S. bicolor grown in competition with their parents were enhanced. All, the F1 progenies had equal or lesser ratoons than the weedy parents but they had more seed as compared to their parents. All the F1 populations had exaggerated levels of seed dormancy and forced germination of the F1 seed gave 53% in S. halepense×S. bicolor and 69% in S. sudanense×S. bicolor which were lower than those of their parents. This study is especially important due to maintenance of genes that boost agronomic performance in crop species that grow in sympatry with their wild progenitors harbouring weedy traits. Arriola, P.E. and N.C. Ellstrand, 1997. Fitness of interspecific hybrids in the genus Sorghum: Persistence of crop genes in wild populations. Ecol. Applic., 7: 512-518. Baerson, S.R., F.E. Dayan, A.M. Rimando, N.P.D. Nanayakkara and C.J. Liu et al., 2008. A functional genomics investigation of allelochemical biosynthesis in Sorghum bicolor root hairs. J. Biol. Chem., 283: 3231-3247. Campbell, L.G. and A.A. Snow, 2007. Competition alters life history and increases the relative fecundity of crop-wild radish hybrids (Raphanus spp.). New Phytol., 173: 648-660. Campbell, L.G., A.A. Snow and C.E. Ridley, 2006. Weed evolution after crop gene introgression: Greater survival and fecundity of hybrids in a new environment. Ecol. Lett., 9: 1198-1209. Chapman, M.A. and J.M. Burke, 2006. Letting the gene out of the bottle: The population genetics of genetically modified crops. New Phytol., 170: 429-443. Dale, P.J., 1994. The impact of hybrids between genetically modified crop plants and their related species: General considerations. Mol. Ecol., 3: 31-36. Ellstrand, N.C., 2003. Current knowledge of gene flow in plants: Implications for transgene flow. Philos. Trans. R. Soc. B: Biol. Sci., 358: 1163-1170. Guadagnuolo, R., J. Clegg and N.C. Ellstrand, 2006. 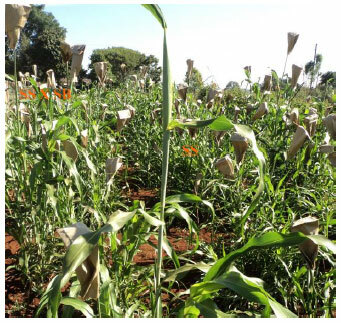 Relative fitness of transgenic vs. non-transgenic maize x teosinte hybrids: A field evaluation. Ecol. Applic., 16: 1967-1974. Hokanson, K.E., N.C. Ellstrand, J.T. Ouedraogo, P.A. Olweny, B.A. Schaal and A.F. Raybould, 2010. Biofortified sorghum in Africa: Using problem formulation to inform risk assessment. Nat. Biotechnol., 28: 900-903. Holm, L.G., D.L. Plucknett, J.V. Pancho and J.P. Herberger, 1977. The World's Worst Weeds: Distribution and Biology. University Press of Hawaii, Honolulu, HI., USA., ISBN-13: 978-0894644153, Pages: 609. Hooftman, D.A.P., Y. Hartman, J.G.B. Oostermeijer and H.C.M. Den Nijs, 2009. Existence of vigorous lineages of crop-wild hybrids in Lettuce under field conditions. Environ. Biosaf. Res., 8: 203-217. Hunt, R., 1978. Plant Growth Analysis. Edward Arnold Ltd., London, UK., ISBN-13: 978-0713126969, Pages: 67. Langevin, S.A., K. Clay and J.B. Grace, 1990. The incidence and effects of hybridization between cultivated rice and its related weed red rice (Oryza sativa L.). Evolution, 44: 1000-1008. Massinga, R.A., K. Al-Khatib, P. St. Amand and J.F. Miller, 2005. Relative fitness of imazamox-resistant common sunflower and prairie sunflower. Weed Sci., 53: 166-174. Mercer, K.L., D.L. Wyse and R.G. Shaw, 2006. Effects of competition on the fitness of wild and crop-wild hybrid sunflower from a diversity of wild populations and crop lines. Evolution, 60: 2044-2055. Morrell, P.L., T.D. Williams-Coplin, A.L. Lattu, J.E. Bowers, J.M. Chandler and A.H. Paterson, 2005. Crop-to-weed introgression has impacted allelic composition of johnsongrass populations with and without recent exposure to cultivated sorghum. Mol. Ecol., 14: 2143-2154. Novak, M.G., L.G. Higley, C.A. Christianssen and W.A. Rowley, 1993. Evaluating larval competition between Aedes albopictus and A. triseriatus (Diptera: Culicidae) through replacement series experiments. Environ. Entomol., 22: 311-318. Radosevich, S.R., 1987. Methods to study interactions among crops and weeds. Weed Technol., 1: 190-198. Sahoo, L., J.J. Schmidt, J.F. Pedersen, D.J. Lee and J.L. Lindquist, 2010. Growth and fitness components of wild x cultivated Sorghum bicolor (Poaceae) hybrids in Nebraska. Am. J. Bot., 97: 1610-1617. Song, Z.P., B.R. Lu, B. Wang and J.K. Chen, 2004. Fitness estimation through performance comparison of F1 hybrids with their parental species Oryza rufipogon and O. sativa. Ann. Bot., 93: 311-316. Spencer, L.J. and A.A. Snow, 2001. Fecundity of transgenic wild-crop hybrids of Cucurbita pepo (Cucurbitaceae): Implications for crop-to-wild gene flow. Heredity, 86: 694-702.